In a classic game of good cop bad cop, a determined detective befriends a Wisconsin woman to solve her boyfriend’s suspicious disappearance. A prominent scientist is bludgeoned to death with a blue stiletto heel. Catch up with key players after the verdict. Dianna calls 911 after finding David King’s body. Dianna speaks with police about her former stepson, Derek Saunders. Sgt. Jake Peterson on the case against Heather Horst and her trial for the murder of her husband. Defense attorney Michael Applebaum talks about Mary Jane and why he believes she was wrongfully convicted. Reporter Jaccii Farris on the community reaction to the arrest and trial of Mary Jane Fonder. Christine Billis's daughter, Corrina Skorker weighs on her mother's relationship with her father. Krist Fulgham's half brother Tyler Edmonds shares the details of their relationship. Catch up with key players, after the verdict. Catch up with the key players after the verdict. Prosecutor Lara Roetzel discusses Amanda’s actions on the day of the murder. John Ruffolo’s sister talks about his life, his death and her suspicions about Ruby Ann. Jovanna Ruffolo discusses her father’s death and coming to terms with her mother’s crime. Kim Hamilton talks about the day Keith died and Becky’s behavior afterwards. Eric's sister, Kimberly, talks about when she learned of Eric's murder. Investigator Kip Young explains the events that led to the murder. Denise confesses to her husband’s killing in an interview with investigators. Aeriana Bozarth-Weston discusses the death of her father and her relationship with Denise. Angelina Rodriguez asks investigators about the delay in her husband’s autopsy. An undercover officer posing as a hitman visits Angelina Rodriguez in jail to discuss the hit she ordered on a witness against her. David Ballin, son of Ricky Ballin speaks about the discrepancies between his stepmother's story and the D.A's report. Attorney to Pamela Ballin, Jabari Jones shares his thoughts on the verdict. Cam Graham discusses the relationship between Stephen and Kathleen Moore, and her involvement in his murder. Investigator Marc Lemieux discusses the case against the Dorsett family and Kathleen’s role in her ex-husband’s murder. Heather Horst faces tough questions from the police after the discovery of her husband’s body. Anna Breininger remembers her son’s relationship with Judith Hawkey. Corey discusses his abuse at the hands of Judith Hawkey and his father’s death. Attorney Chuck Bretz on why Gabriela Escutia argued the shooting was self-defense. Journalist Brian Stanley on the trial of Gabriela Escutia for the murder of Javier Barrios. Prosecutor Hilary LaBorde discusses the case against Yalanda Lind. 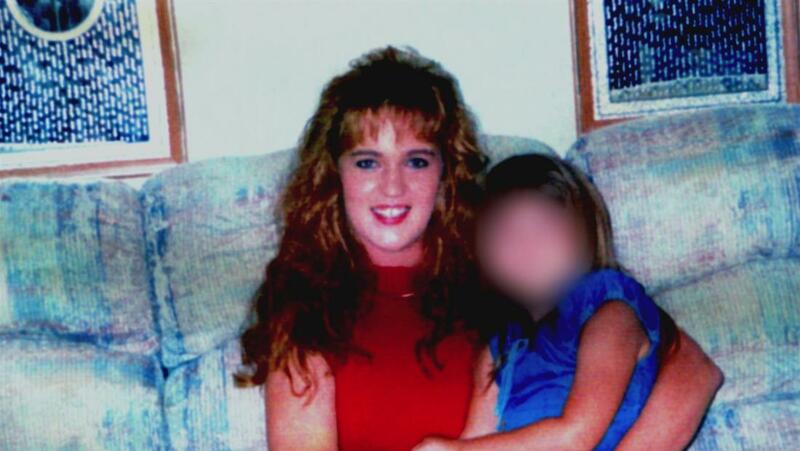 In her interrogation, Yalanda Lind tries to convince investigators she wasn’t involved in her mother’s murder. Kimberly Cargill’s ex-husband discusses their relationship. Journalist Melanie Torre looks back at Kimberly Cargill’s case. Prosecutor Erica Gallegos shares her legal strategies during the prosecution. Matthew Bell,Carmen Montelongo's cousin, shares his account of the night of the murder. Catchup with key players after the verdict. Recorded footage from Tyler Edmonds interview with sheriffs in 2003. Alex Jones, attorney for Cheryl Kunkle, shares his strategies and insight on the case. Lead Investigator Corporal Shawn Williams shares his perspective and insight on the case. Sandra Baratchi-Sanders, Randy Bratschi's sister, shares her thoughts on the case. Stacey Watts, friend of the Baratschi Family shares her thoughts on the case. Attorney Bill Stanley on Michelle Despain’s defense and the reason they accepted a plea deal. A friend of Brynn discusses the former model’s struggle with addiction. Makeup artist Norman Bryn recalls his experiences with Phil and Brynn Hartman from his time on Saturday Night Live. Journalist Sandra Combs on the story of Michelle Despain and the community interest in the case. Laura Cusick discusses when she realized her sister Michele Williams was guilty of the murder of Greg Williams. Taylor Williams discusses her relationship with her father and her stepmother, Michele Williams, before the murder. Prosecutor Justin Keiter discusses Dr. Ana Gonzalez-Angulo’s career and relationships. Detective Mac Sosa recollects his investigation into the poisoning of Dr. George Blumenschein. Patricia Olsen’s daughter talks to her boyfriend in prison about the murder of her stepfather and her concerns about her mother. Lynn Brooks talks about the impact of Neil Olsen’s murder on his horse, Hannah. Carol Beese talks about the day she found out Lisa was killed and different rumors that went around afterwards. Erika Gaiter talks about Lisa, about the day she found out Lisa was murdered, and what happened during the trial. Several people involved in the murder trial and with the Knoefels talk about Sabrina Zunich. People involved in the trial discuss Patricia Burney and Michael Richardson and what happened when they were found guilty in Arthur Burney's murder. Gretchen Mosley, the attorney for Michelle Burney, discusses Michelle's vastly different relationships with her parents. Karen Jefferson talks about her father, his relationship with his new girlfriend, and his funeral. Cindy Hinojosa on why she believes her sister, Maryann Castorena, is not guilty of murder. Kody Donaldson, a former boyfriend of Tory Minnick, remembers what happened the day Tory was murdered and what he thought about Tory and Erin's relationship. Patty Everett, the mother of Erin Everett, discusses her daughter's case and her relationship to Tory. Several people involved with the case discusses what happened before, during, and after the trial. Heather Miller discusses her plan to give belladonna to her husband during a recorded conversation with her friend, Mindi. Heather talks about life after prison, and her relationship with Kevin. State Police Sergeant Mark Harris discusses the case against Amber and her reactions during questioning. Sarah Smith talks about the moment she realized her sister, Amber Smith, was capable of murder. Reporter Ann Marie LaFlamme on the case against Maryann Castorena and the community reaction to the trial. The murder of a Texas man reveals a deadly love triangle and destroys two families. The brutal murder of Sabrina Zunich's foster mother raised questions about her relationship with her foster father. Erin reports a brutal attack on her friend turned lover, but a secret relationship and allegations of abuse add a surprising twist to the investigation. Amber finds her home ransacked, and the police find her fiancé dead in his bed. A deadly break-in pits mother against daughter, revealing a secret addiction. © 2015 NBCUniversal, Inc. All Rights Reserved. Don't have your login or password? To watch your favorite Oxygen shows, visit us from your computer.